For today’s post we will dive into Payroll as we have three new features coming in GP 2018 R2. 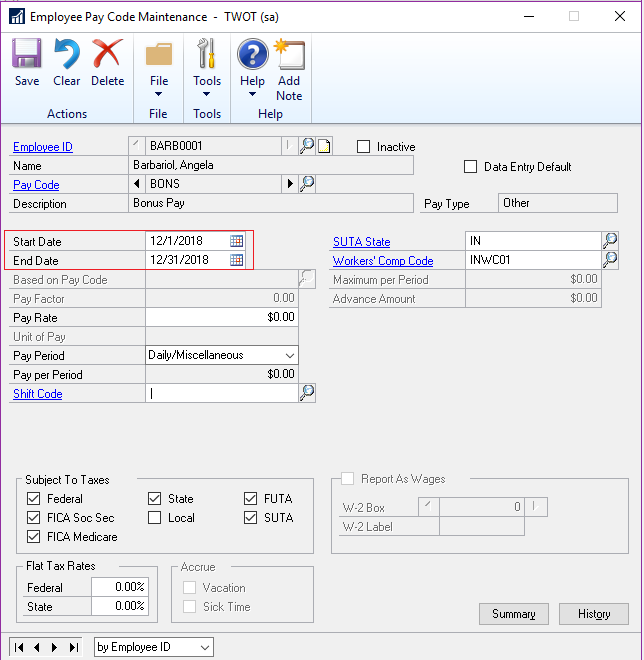 The first feature is a new Start Date and End Date for each pay code in the Employee Pay Code Maintenance window. This is used when building the check run as to whether to include the selected pay codes. So if the check run is before the start date or after the end date, that pay code will not be included.